Quality music lessons are an asset to the life of a budding musician and a joy for the teacher watching them discover a passion. Understanding what the person on each side of the instrument should and does expect makes for a quality private lesson experience. The first thing a parent should determine is exactly what they are hoping to accomplish by paying for private lessons. Life long music lover, understander of all things music, understander of some things music or accomplished musician: each of these requires a dialog with the music teacher to make the goals clear. Many parents think lessons are a shortcut to becoming a better player. Music lessons are intended to enhance what the student is trying to accomplish. They are NOT a replacement for quality, careful practice. The work done in a lesson is a way for students to show what they have worked on and get achievable, quality instruction for how to improve. The teacher should have a clear goal for each student. The job of private teachers is to put themselves out of business with each student that comes in. We should give them the tools to teach themselves at home in such a way that they no longer need us. Basic technique, understanding of musical structure, music theory, or even just being able to stay with a metronome are all realistic goals a teacher could have for their students. It is unlikely that a child who was not practicing before private lessons will suddenly be inspired to break out the instrument for hours each week. Private lessons typically serve the highly motivated more than the student who has a lukewarm love for music. The same goes for teachers. While it would be fantastic if the students practiced every nuance of every assignment before the day of the lesson, sometimes, life simply gets in the way. Teachers need to meet their students where they are and strive to take them where they could be. Occasionally, a music lesson will turn into a lesson in patience for the teacher. It is completely unproductive to make a student feel bad for not practicing. Instead, they should focus on how they can guide them and inspire them to make time to practice for the next lesson. Many teachers have back-to-back lessons. A cancellation last minute means empty time that cannot be filled quickly and lost personal time with family. 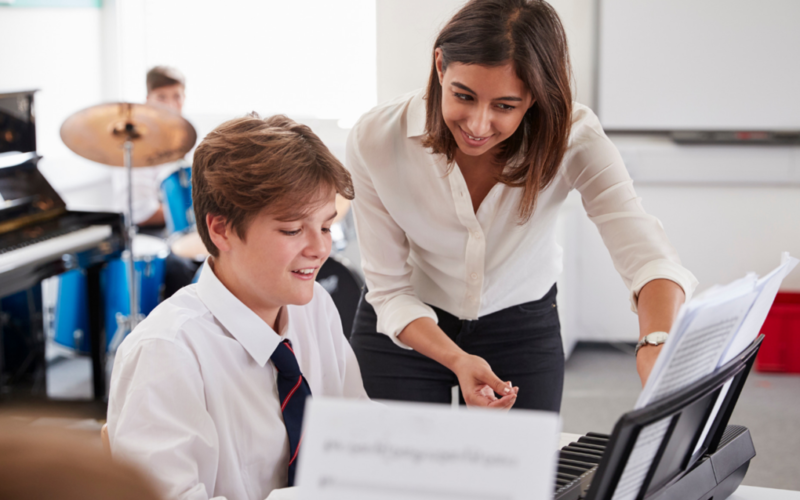 While some musicians are natural, quality teachers, it is unlikely that they set out to be a private teacher when they chose music as their vocation. It does not mean they do not value their students, but it is critical to realize that they have other priorities in their lives. Recitals are a lot of work. Students and parents should show appreciation to the teacher’s extra planning by making every effort to attend and to be prepared. Teachers should give plenty of notice when the need to cancel a lesson arrives and plan makeup lessons quickly. When planning events such as open houses or recitals, the teacher should make the day a reasonable length (leave the audience wanting more) for parents and communicate well. Nervous students are students who will ask many, many questions if given the chance. A well-organized, well-communicated event will put parents and students at ease and ready to bring their best. Personality matters a great deal when picking a music teacher for a child. You want a teacher that will encourage the student and hold them accountable. Trial lessons are a reasonable request. That first lesson will tell both teacher and student whether or not they are a good fit. The student should be able to understand the instructions and the teacher should be able to identify aspects of their learning where they are equipped to help. Students should not be afraid to seek new teachers when they have learned gracious plenty from the current one. A teacher should also be humble and willing to admit when the student has outgrown them. My favorite quote from a teacher is “I am your paper towel. Use me until I am of no more use to you, and then get a new one.” This quality statement was made to me in my first lesson at college and has stuck with me since. It’s important that a teacher knows that they are a teacher in a student’s life for only a season. When that season closes, they should not bemoan it, but look forward to what the weather will bring next. instrument realize their part in the commitment. 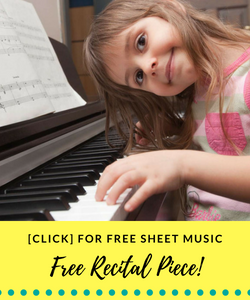 Join thousands of other piano teachers in receiving wonderfully well-crafted (Free) resources delivered straight to your email inbox! Sign up below! Great article! Finally had time to read….Keep them coming!. 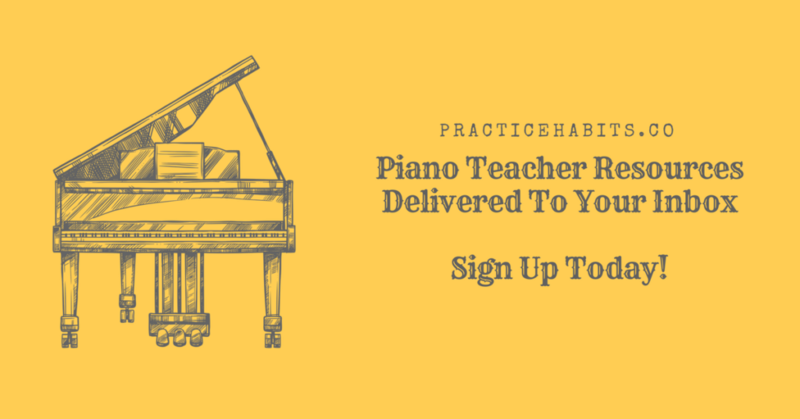 I disagree slightly with this in that I believe it is the piano teacher’s mission to teach each student how to practice. I cannot expect that student to be devoted if I have not done my job to teach the strategy of practicing without the teacher’s assistance. From my perspective as a former piano teacher of 30 years, I think my biggest role was to teach each student how to practice effectively. In fact that is the greater part of what I would initially teach any student. 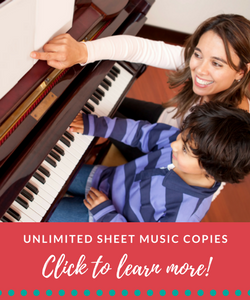 I have more info on this topic of how to practice piano effectively on my website in the piano section. Other than that though, your blog raises valid and insightful points. Thanks for the thoughtful comment, Jenny!